Hello friends! 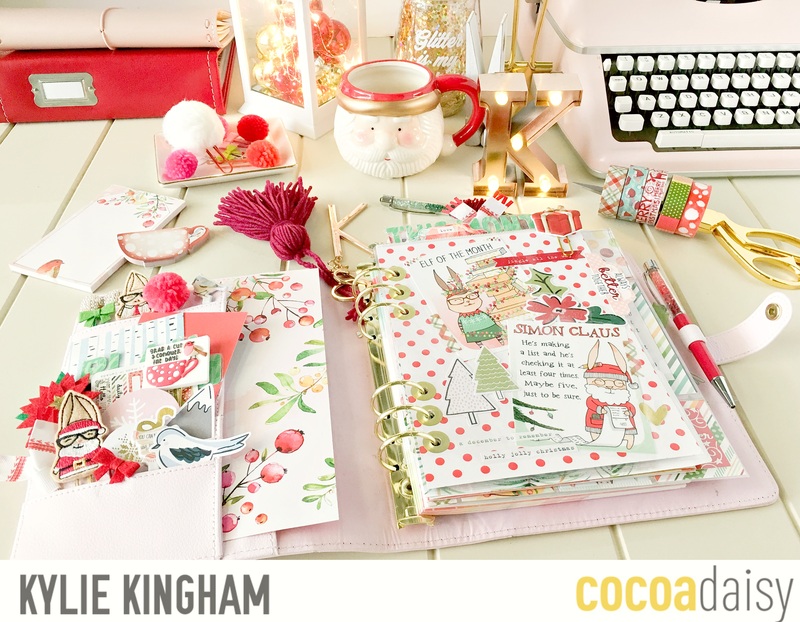 Today I am opening the pages of my planner to share with you how I have worked with my December. I thoroughly loved the December kits, (as always) when they arrived. 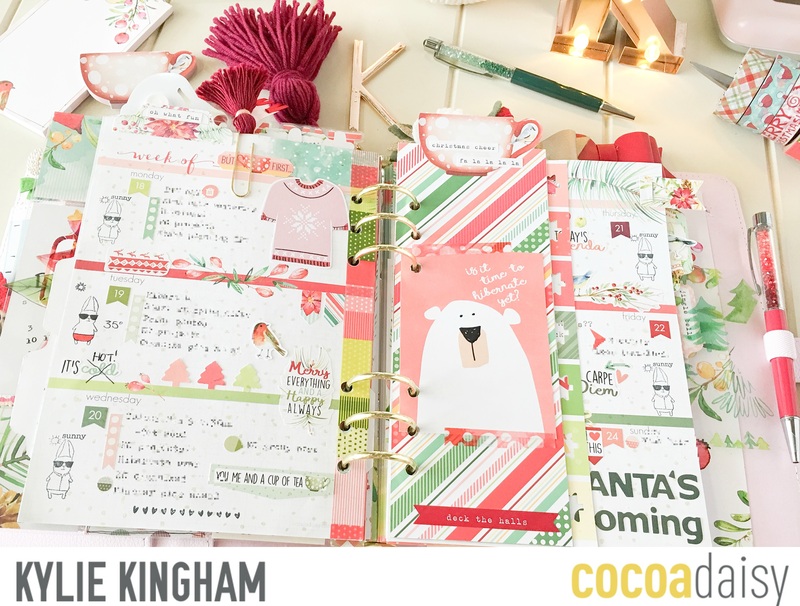 I wasted no time cutting into the exclusive papers and having fun with the dashboards and cards that were included.I was also SUPER excited to see Simon and Betty again.Let me share with you some of my favourite pages in my A5 planner, followed by a short video flip through for you. 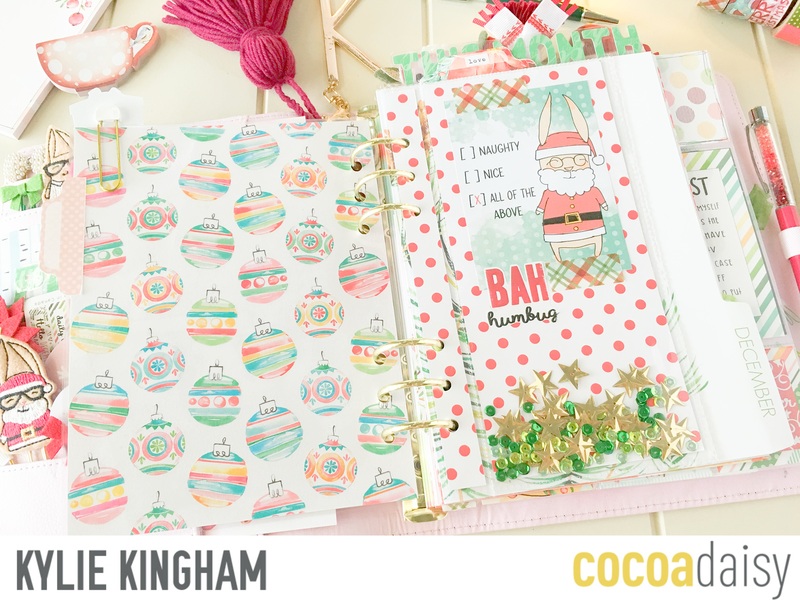 For fun this month I decided on a non traditional colour for Christmas when it came to selecting a co-ordinating planner binder for my pages.I drew inspiration by the sweet pink paper with berries that came and matched it with my pink Kikki K binder. It seemed to really make the red tones ‘pop’. 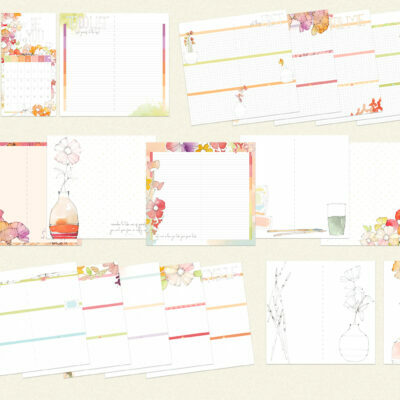 I’m so in love with the Simon and Betty cards and created a dashboard to include them on. 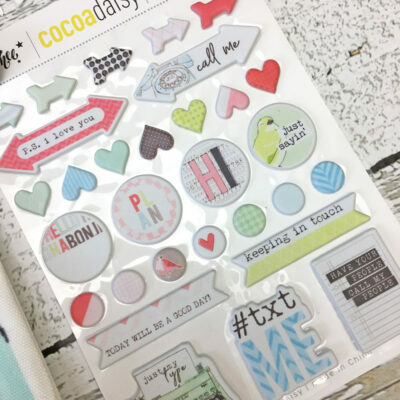 I also had some fun with the printables and created this cute shaker dashboard.I may use these all year….Too cute!! As I do every month, I start with a ‘Currently” page.This will include my likes or dislikes for the month, movies I may of loved, songs I can’t get out of my head and things I am looking forward to.I love being able to look back on this as a memory keeping option. 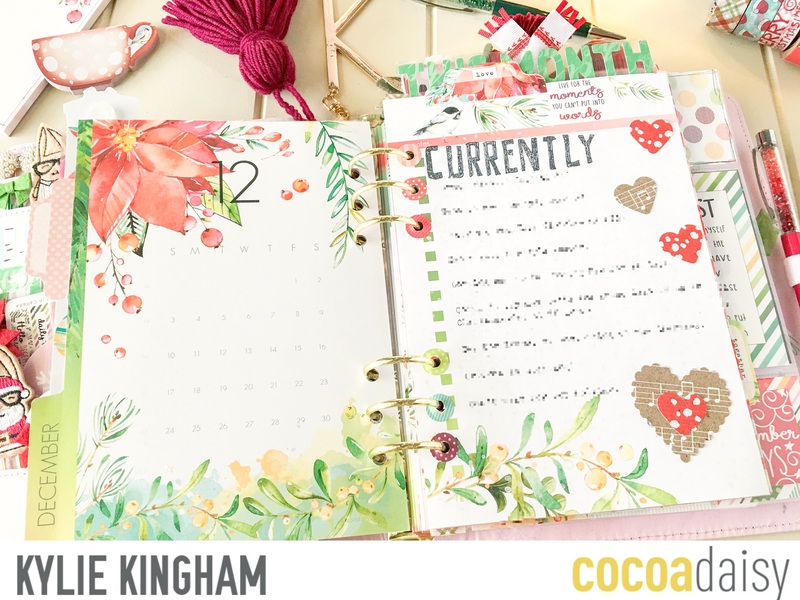 I love having a monthly planning page.It is always my go to when checking on something important coming up. 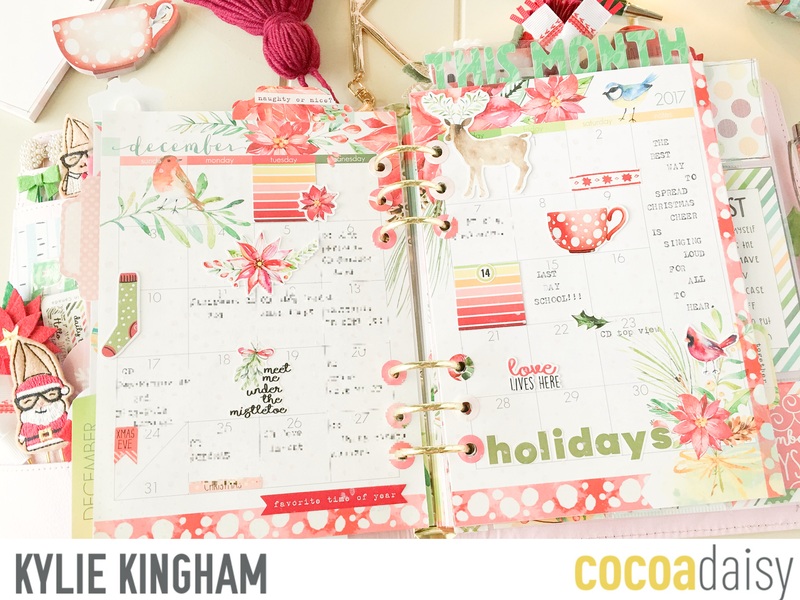 I love adding the memory keeping elements to my planner.Again I have included some pocket pages to December. Here is a look at my week ahead.I made some fun adjustments to cater for the current heat wave we are having here in Australia, such as Simon in his red speedos and making my Christmas sweater short sleeved.I like to record the weather forecast and still find noting my daily plans in bullet form using the banner stickers to highlight, is what works best for me.I created the weekly page mark from the exclusive papers and added one of the cup sticky notes to the top so that when my planner is closed it is easy to find my place.The cute bear card was from the November Pocket Memory Keeping kit. Because the sticky note is easy to be bent, I back the page mark with more paper as well as one of the personal sized dashboards to make it all more sturdy. I like to include some fun to my pages and created this quote page by cutting letters from some of the exclusive papers.It’s from a fave movie of mine for this time of year and I love having it my December pages. 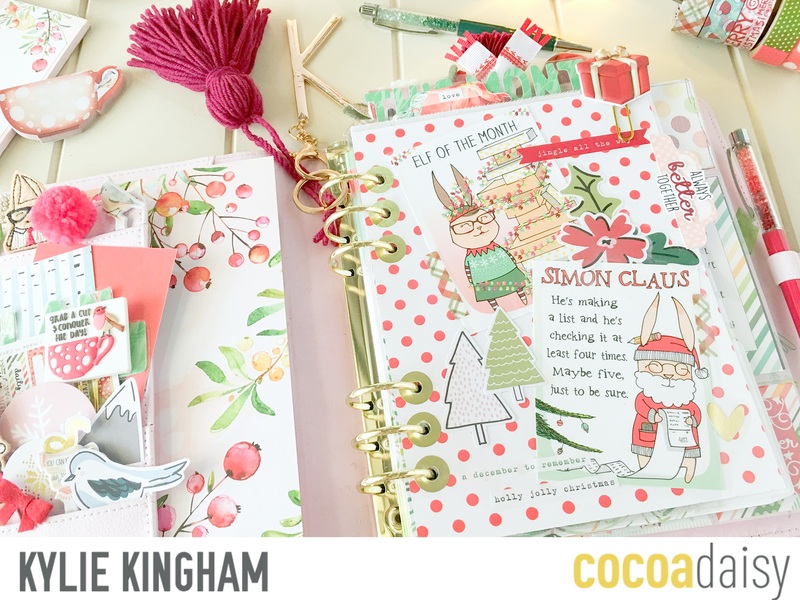 These are just some of my favourite pages of the month.I have many more which I have included in this short slide show for you. 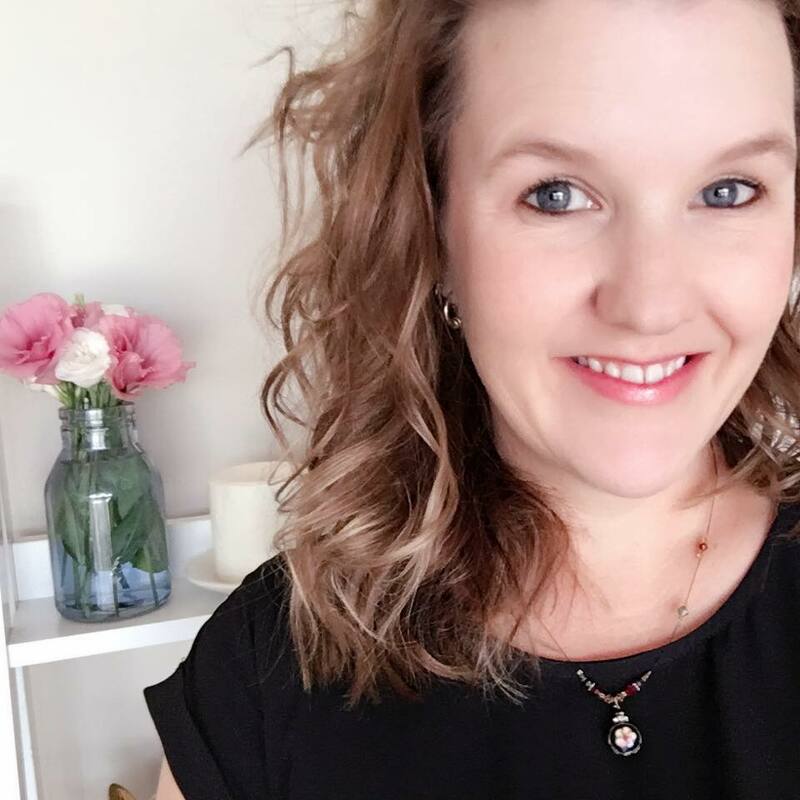 I hope you have enjoyed my post today and I can’t wait to share with you more inspiration in the New Year.Keep watch for my January blog post where I share how I store all of my past planner pages. Tips and Tricks: What can I do with these envelopes? Hi Kylie – I love everything! Thanks for sharing! Your style is so uplifting & refreshing! 😊. May I ask how you made the letters for your quote? Thanks Debbie very much. I used some Alpha dies which are made by Kaisercraft. 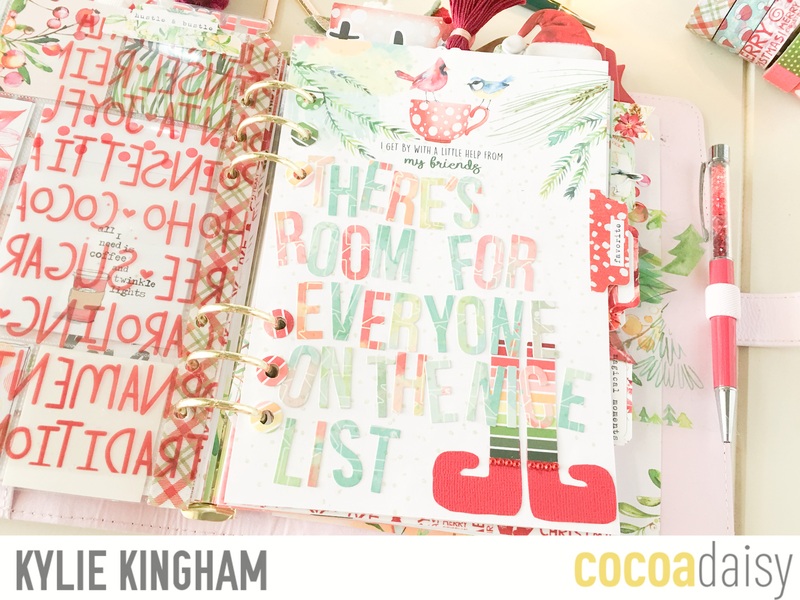 Those are some stunning planner pages, Kylie! I love Simon in speedos and the quote!